Amrit Kaur is an actor and writer; since graduating York University with a BFA in Acting (2015), she continues to study her craft with coaches Michele Lonsdale-Smith and Stephen Park at the Lonsdale Smith Studio in Toronto. She loves making and watching art at the L.S. 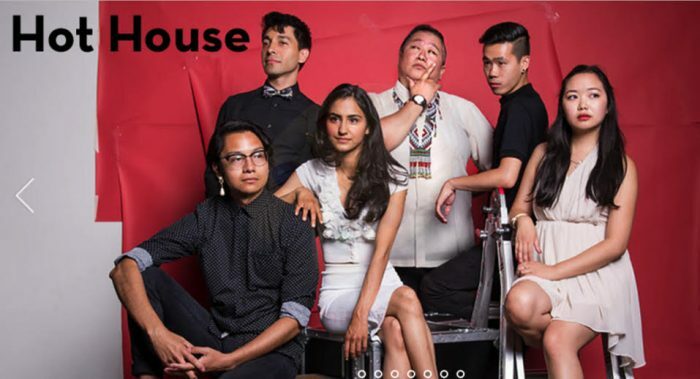 Studio, enjoys reading plays, volunteering with the South Asian Women’s Centre, playing the piano, practicing poi performance art, and is writing her first play, Hummingbird, under the guidance of Marjorie Chan and Cahoots Theatre’s TCR Hothouse Program. Her favourite performances include Charlize Theron in Monster, Aamir Khan in Lagaan, and Cynthia Erivo as Celie on Broadway’s The Colour Purple. She loves to travel and hopes to, one day, make and share impassioned art with all the artists she loves so much around the world. My teachers at York taught me so much; to breathe, discipline, but most importantly, the importance of owning my process. I come from a highly educated and ambitious family and throughout my entire schooling, grades were important. By the time I entered fourth year, I spoke with my teachers about this block and requested that I not be told my grades for the rest of the year. I began owning my process, becoming attentive in the learning of my craft, and most importantly being in service to my art form. I began creating for something outside of myself, for art. In the real world, you have to be in charge of your process. There are no grades, little feedback; it’s a business. I have be hungry, myself, to go deeper in my work. Specifically as an actor, I hit the puck many times and occasionally I’ll get a goal. In fact, risk not getting the goal and failure. I understand there is humiliation in failure, but there is humility in that. Go there to learn and commit yourself to your learning. I will say here that training towards a full-time career in the arts requires the same hard work as it would to become a doctor or lawyer. This is often underestimated. The colleagues that I see doing well are those who were completely devoted in school. Take notes graciously. In fact, seek out notes from your teachers. You should want them. Your mentors know how to help you. Don’t worry about what will happen when you graduate and doing outside work while in school. When the right time comes, you will learn how to find agents. Take advantage of the opportunity to learn full-heartedly and continuing learning as you graduate. Compete with yourself and going further from where you are. Be humble, encourage your classmates, and genuinely want their success. Whenever you are feeling jealous of the greatness of your peers, it is only because you are not expressing your own greatness, through your art, at it’s full potential. Work towards happiness. I see so many people become so bitter, depressed, and sad after graduating, engaging in the path of self sabotage instead of doing the work. There is no handbook that says that because you are an artist that it is normal to be anxious and depressed or that you should be. Being a professional actor takes a similar emotional capacity as it would for example a doctor, and therefore, there needs to be extra work in taking care of the self. Always seek help and do not isolate yourself. Nurture your heart, soul, and mind. You have just begun your apprenticeship. Audit all the different classrooms in the city. Continue studying and practicing. I understand that it can be difficult to afford classes and rent in Toronto at the same time. I would encourage you to make the sacrifices you need to make until you become a working professional i.e. sublet, live further out of town, etc. After you graduate, do not stop practicing and learning. Mastery takes 10,000 hours. Practicing is the key to progress. A career is a long body of work. I know the feeling of wanting to be an overnight success. Comparing is a way to avoid doing the work and being where you are, yourself. You will have your own path. Be patient, persistence, and never give up. Absolutely. There is no such thing as a self-made person. I am eternally grateful for my classmates who help with my self-tapes and for the opportunities I have had to help them in their tapes and adversities. I cannot stress this enough, but the desire for your colleagues to perform well and even better than yourself is the truest endeavour. I have a couple of friends from my acting class that I am constantly in touch with, and we are constantly holding each other accountable for each others’ success. I am an artist, not just an actor. Carrying multiple talents means that there must be equal devotion to each one of my talents, acting and writing. The archetype project taught me so much about what it means to be an artist and the work required. I learned that I had the capacity to create with different mediums, and this encouraged me to complete the writing of my first play, Hummingbird which is presently being drafted with Cahoots Theatre. What did you get taught that you did not believe, but has turned out to be true? I had a teacher, Ines Buchli, at a conference give me a very tough note. I thought that talent and beauty was enough. I was engaging in pageants and very concerned about the way I looked, vanity. She told me that I can be beautiful, talented, and extremely intelligent but the thing that will give me a career is discipline. Looks don’t mean much. As soon as I got that note I doubled down into Version 1. and enrolled in one of the most prestigious pageants, Miss World. The pageant, without a doubt, required work but I knew what I was running away from. As I graduated and looked at the flood of talented people around me, I understood what my teacher meant. It is indeed hard work, discipline, my process, and practice that will get me further. She was right. It is the one thing that will be unique to me and keep me grounded. Amrit Kaur as Roop in Anarkali, Season 1.